THE EDITOR: Annemarie E. Omilian, Steven Place. SUMMARY: Jacqueline Chevalier is an unusual teen. Not only is she an international figure skating champion, she is also… royalty. Her life is basically one huge press junket. Her only release from the demands on her her family is found on the ice. Not only does she try to conform to her family’s demands on her time, she is worn out with the need to look and act the part of a perfect princess. When she meets a set of twins, Jacqueline is shown a different world, one that she longs for. She finds herself in an unusual situation, where she has a decision to make. Will she chose freedom in Christ or will her life continue to be lonely and empty? WHY THIS TITLE? It’s twofold. 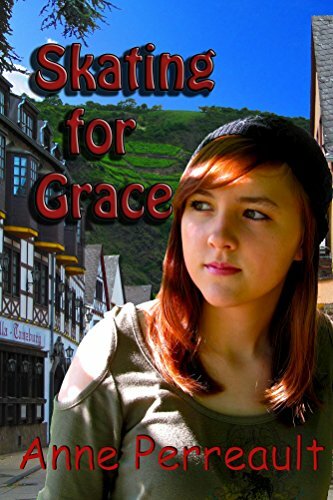 The main character finds herself intrigued with her friend, Grace, who shows her something she doesn’t expect – God’s grace. WHY SOMEONE WOULD WANT TO READ IT? Teens today are all about themselves, and yet their lives really are empty. There are many who are struggling against their parents, against what is required of them. This book shows a teen in that stage of her life and also shows that she doesn’t have to continue with it. There are answers to her questions. They may not be easy and may require some major soul searching, but they are there for the taking. “One must understand that there is a superbly crafted undercurrent to this piece of literature that many will not discover on their own. This is an easy read. Initially I thought it took off too slowly, however now I notice the Master behind the work. This is labeled as a Christian and romance book and every romance needs a relationship. Life without God may seem slow or empty at first such as something is missing or one existing day to day, and the book captures this very readily. In a day and age where there seems to be intensity and ‘sit on the edge of your seat’ woven within movies this book shows something else… something else that could be missing… a relationship with God. ..and this may cause some inner conflicts depending where we are and where He might want us. Brilliantly the readers focus is brought to that possible relationship with our creator and not on our sin. As the author brings in the twins they represent the author’s life in Dubai and yet she still had ties to her home country in Europe just as Jacqueline did. Another tidbit is that the Author planned on naming her first daughter Jacqueline around that time in her life. This is a fiction story, but with truths wrapped throughout… it ought to be peeled back gently to reveal the truth. For anyone that is struggling with who God is or whether if He exists: Darwin’s finches interbreed. They are not separate species… they did not evolve. This is not only a literary masterpiece, but also a work of art. I’m anxiously awaiting more of Ann’s novels since this is her first book.” — Amazon Customer. 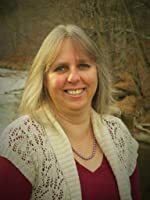 AUTHOR PROFILE: Anne Perreault was born and raised in Germany. After living abroad in several different countries, she met her husband and settled down in Connecticut. They recently moved to Southern Vermont, where they are building their home, something that is a huge adventure. Besides writing, she is busy homeschooling her youngest son. Anne has a masters degree in secondary education. Writing is something God inspired her to do. It is a gift, one that she never expected to receive. • Why do I write? • Why write about life? LOCAL OUTLETS: The author has books available for sale at the Springfield Farmers Market, Springfield, VT, as well as the Ludlow Farmers Market, Ludlow, VT. She is also available for speaking engagements throughout New England. For further information, check out the website below. WHERE ELSE TO BUY IT: The book is available on Amazon, Kindle and Barnes and Noble online. It is also available on the author’s Create Space sites.